The Ondutiss Air range of products are high vapour permeable membranes, suitable for cold and warm roof applications. The Ondutiss Air range of products are high vapour permeable membranes, suitable for cold and warm roof applications. 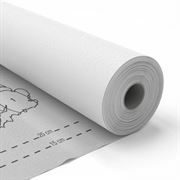 Roll size: 1.5m x 50m.